At the 2014 SkillsUSA National Leadership and Skills Conference, three college/postsecondary students and three high school students took home gold, silver, and bronze medals. 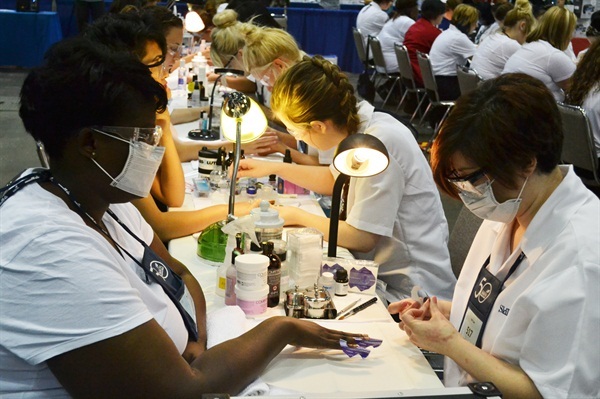 In the nail care category, students were evaluated on a variety of skills, including natural nail care, pedicuring, acrylic application, themed nail art with a written description, a written exam on all aspects of nail care, and an oral presentation. 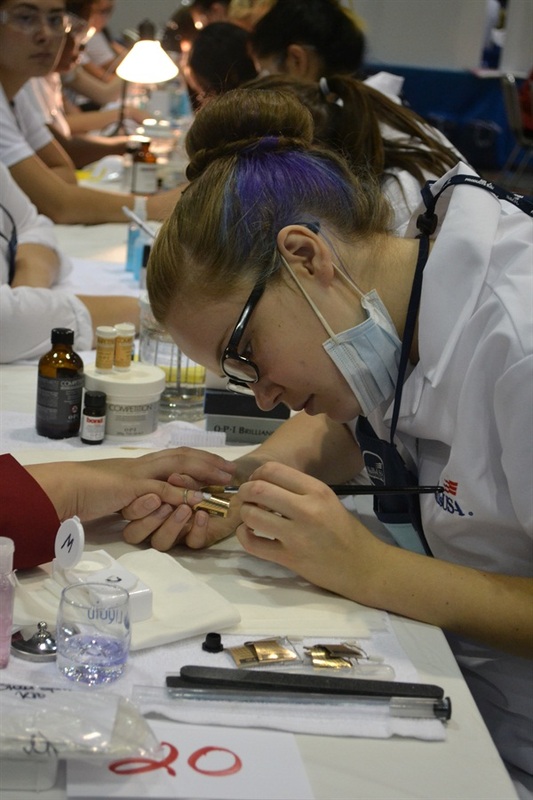 To align the contest with industry practice, nail wrap skills were replaced this year with light-cured gel application skills. Gold: Brooklyn K. Lackney, Mecosta Osceola Career Center, Big Rapids, Mich.
Silver: Andrea Allen, Kansas City Kansas Community College Technical Education Center, Kansas City, Kan. Bronze: Sarah Hopkins, Carver Career Center, Charleston, W. Va.
Gold: Aria Justice, Autry Technology Center, Enid, Okla.
Silver: Amanda Olivarez, Uvalde High School, Uvalde, Texas. Bronze: Natali Carmona-Garcia, Metropolitan Career & Tech Center, Little Rock, Ark. A complete list of winners is available online at www.skillsusa.org/compete/results.shtml.